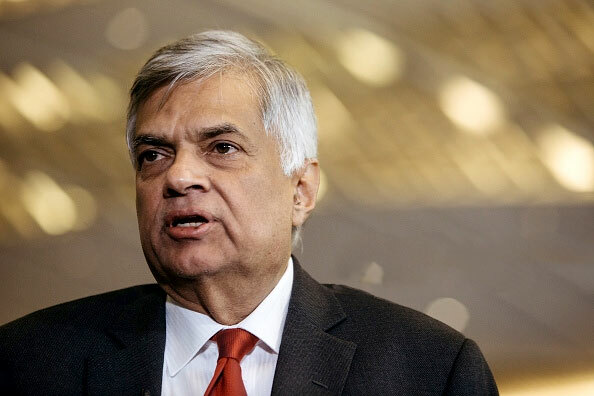 Prime Minister Ranil Wickremesinghe while defending Chinese investment in the Hambantota Port yesterday said this project with 15 industries, will transform the Hambantota district. Delivering the key note address at the Saman Kelegama Memorial Conference at the Taj Samudra yesterday, the Prime Minister said, “A lot has been written about how we were forced to give it up but I always thought that we held the cards. Since I was in charge of negotiations, Minister (Malik Samarawickrema) was there, we discussed it with Chinese Prime Minister Lee and President Xi. “It was a tough deal but finally we came up with something that was beneficial to both parties”, the Premier said. The PM had invited President Xi Jinping to visit Sri Lanka to see the benefits of it for himself. “I would like to place on record the appreciation for the Sri Lankan team as well as President Xi, PM Lee and many others”. When we took over, Hambantota was the largest swimming pool in the world but from next year onwards, we will see ships coming in. We are used to turning white elephants green, he added. Answering questions of having leased land to the Chinese to build an industrial zone around the Hambantota Port, the PM stressed that, “China Merchants would not have taken over the Port as charity. It had to be made a viable business model”. The 15 industries that would be set up, would rapidly transform and industrialize the Hambantota District. This is one of the many industrial zones planned in the country, “We are not building industrial zones just to take out loans. These developments will transform loans into FDI.This is the process that we need to push hard, increase exports, build up reserves and finally bring about a manageable debt ratio (55 percent)”. To repeated questions of Chinese submarines coming in to the Port, the Prime Minister said, “We have told that they cannot use it for military purposes and they have agreed”. The PM who spoke on the theme of ‘Managing Domestic and International Challenges and Opportunities in Post-Conflict Development: Lessons from Sri Lanka’ outlined the challenges the government had faced in the economic front over the last three years and the future economic outlook planned for the country. “The priority for the Sri Lankan economy in 2015 was for an economic stabilization package and fiscal consolidation and having achieved that at present- the time had now come to expanding. This expansion would have to come as Sri Lanka manages its large debt burden as a result of the previous regime opting for ‘infrastructure led growth with foreign finance’ soon after the war. “Now we have to address the structural reforms pertaining to trade competitiveness, further trade liberalization (GSP+, Singapore FTA and ongoing discussions with China and India on FTA), eliminating other barriers to trade, enacting anti-dumping legislation, helping domestic industries to be competitive and ease of doing business,” the Prime Minister said. The Prime Minister who stressed on the need to build economic partnerships to expand our own export market, highlighted the country’s strategic location and that despite the power struggles within the Indian Ocean, the country would be open to trade with all. “The paradigm shift with the rise of China and India, and the growing importance of the Indian Ocean, will certainly impact us- the issue has been brought to our doorstep. There is no way in which we can ignore it”. RW This just shows how you people can go and what extend you will go to get what you want. So you can make a white elephant Green!!!. Hope your stupid followers can see through you at least now. I suppose the next white elephant you will be transforming is the Port City which you made the people of Sri Lanka believe was a worthless project. What chance has Sri Lanka have with hypocrites like you at the helm. Can be consumed by the thoughtless greens who dance to your tune. Those of us gifted with capacity to read and understand, find this a bit difficult consume.